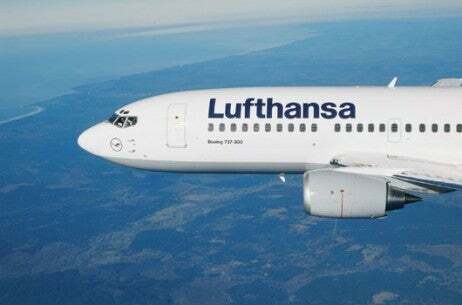 From November 3, 2010, Lufthansa will begin service between Frankfurt and Pointe Noire in the Republic of Congo with convenient connections from North American gateways. Pending regulatory approval, the airline will offer five flights weekly using a PrivatAir-operated Boeing 737-800. With a stopover in Libreville, the new route also introduces nonstop service to this Gabon port, which is currently serviced enroute to Accra, Ghana. Harcourt; an additional 12 destinations are operated by SWISS and Brussels Airlines. of around four million. The oil industry, which is key to the nation’s economy, accounts for about 90 percent of export earnings. Economic growth in 2010 is expected to be around ten percent. Passengers on board PrivatAir flights will enjoy all the benefits of the Lufthansa long-haul product. Among the perks in Business Class is a current in-flight entertainment selection, delicious in-flight menus created by Star Chefs, and an array of amenities that provide a comfortable work environment. For those looking to rest while enroute, the seats fold out to offer almost horizontally into a 6.5 feet long bed. With a small number of seats, Economy Class offers very personal attention from the cabin crew. Moreover, all seats are equipped with in-seat videos, ergonomically designed backrests and additional legroom.